MANCHESTER, Tenn. — The not-so-secret Cage the Elephant secret show at Plaza 9 in the campgrounds was far from the only late-night and early-morning highlight during Thursday’s opening day and the night of the 17th annual Bonnaroo Music and Arts Festival, as hometown acts and psychedelic rockers jammed into the wee hours. The first night of Bonnaroo 2018 closed in outrageous psychedelic-rock fashion courtesy of the Baltimore group Pigeons Playing Ping Pong in a late-night jam at the festival’s That Tent. Pigeons Playing Ping Pong is a four-piece group with a live presentation as eccentric as their band name. The group’s frontman, Greg Ormont, contains an energetic persona that supports his bandmates as they riff on against the backdrop of his liveliness. 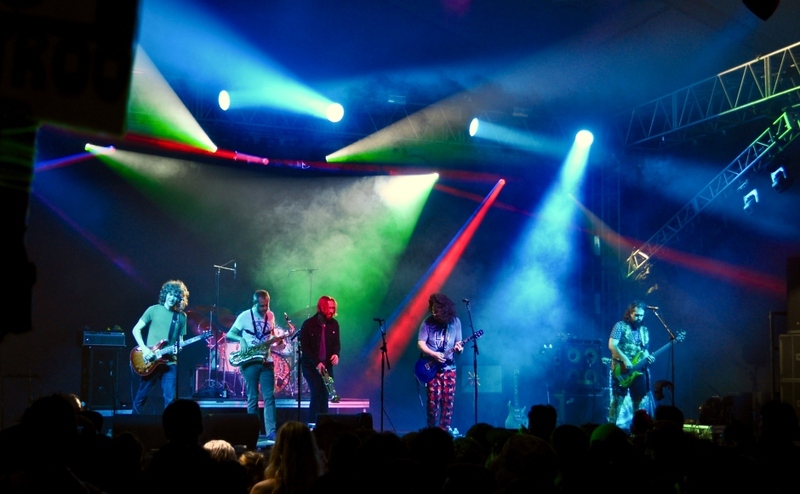 If newer fans had an idea of what sort of live show the band would provide, Pigeons’ after-dark Bonnaroo production assuredly exceeded any expectations. With the group’s opening number, “Porcupine,” it became immediately apparent that those in attendance were in for a spectacle. As the song led into a laid-back funk groove, a wide, almost-sinister grin spread across Ormont’s face. The track eventually devolved into an extended guitar solo from Jeremy Schon, who plucked out each groovy phrase with seemingly effortless precision. This approach to each song carried through the band’s setlist. Ormont would open a track with his soulful, charismatic tenor, then pass the torch to Schon for a solo. At one point, the band kneeled on the side of the stage during a shared solo from bassist Ben Carrey and drummer Alex Petropulos, who just as easily impressed the audience. Along with a collection of tracks spanning the Pigeons’ three albums, the group also eagerly played a couple of cover songs, including “1999” by Prince and “Under the Sea” from “The Little Mermaid” soundtrack. They made sure to put their own funky twist on each. Midway through the set, they introduced two members of The Revivalists—another band playing at Bonnaroo—to join them on stage as a horn section. As the band closed their set in flamboyant fashion with “Ocean Flows,” they hit the last note to a burst of cheers from the tent’s crowd, an audience most likely filled with new Pigeons followers. With Knoxville roots and multiple touring in Nashville clubs and throughout the Southeast, Three Star Revival played a rousing set to a small but eager crowd of late-late-nighters at the Plaza 7 campground area. For the band’s keyboardist Gregory Walton, a senior at Middle Tennessee State University, the news of the band’s Bonnaroo gig was both shocking and undeniably exciting. The band’s original goal was to try to play Bonnaroo next year. Its manager, Chase Smith, convinced the crew to think bigger. The crowd’s enlivened response was followed by the Three Star Revival’s opening song, “Wait,” which led many audience members to groove alongside the band members. Walton said that it was a surreal experience to be playing the music he loves at a nationally recognized festival. Buzzworthy young British singer-songwriter Jade Bird turned in an emotion-filled set on Bonnaroo’s Who Stage late Thursday night. The 20-year-old indie-Americana singer enchanted the audience with her quirky personality and energetic set. Born in Hexham, England, she has been opening for Brent Cobb on tour. Bird has been updating her growing legion of followers on her “US Tour Diary,” accessible on her website. The diary includes photos and captions of her time on the road, stretching from Washington state to Tennessee to Toronto. American electropop duo Frenship pumped up the already pumped-up fans with an electrifying Bonnaroo set Thursday night at the This Tent. Frenship’s sensational set brought the electronica and pop vibes, influenced by ‘80s-style pop, with their set-opening “Run Wild.” The twosome said they wore matching pants for their fans in honor of their first Bonnaroo. Joined by vocalist Celeste Tauchar, Frenship launched into their 2016 hit “Capsize,” the crowd singing along, capped by Sunderland throwing his drumsticks into the crowd. The set ended with “1000 Nights,” with the duo jumping onto the stage railing to provide hugs and handshakes to their ever-energized fans. One of the country’s most high-profile DJs graced the grounds at Bonnaroo Thursday night at the Silent Disco. DJ Mel, most notably known for his political gigs ranging from Democratic Conventions to being President Barack Obama’s personal DJ, is making a return to the festival by delivering four distinctly themed sets: Yo! 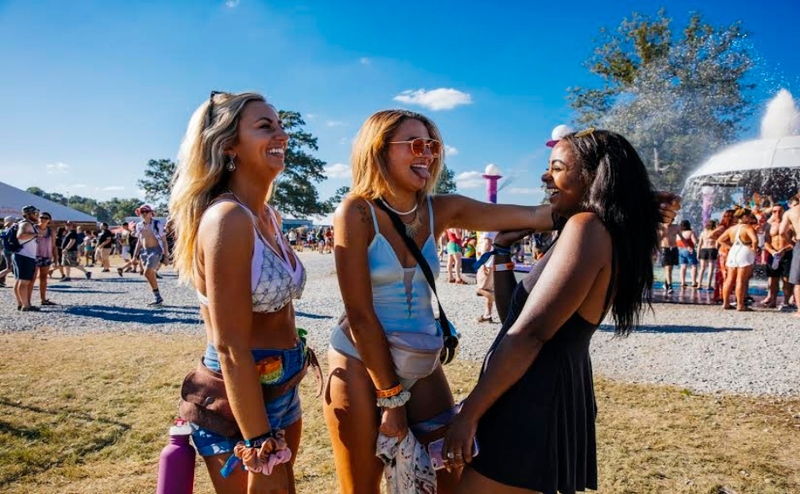 Bonnaroo Raps: Old School to New School; Rock The Casbah: The Ultimate 80s Dance Party; Supa Dupa Fly: 90s R&B Throwbacks For The Ladies; and Bonnaroo Breaks: Retro Funk & Soul Jams. Although DJ Mel has earned his stripes working behind the boards for politicians and celebrities, his ability to adapt to a festival crowd poses no issues. With past performances including Lollapalooza, Austin City Limits Music Festival, Voodoo Festival, the NFL Draft, X-Games and Tour de France, he exudes experience with the ability to adapt to what each crowd wants to hear, while still staying true to who he is. DJ Mel hardly shied away from playing club bangers during his Silent Disco set, spinning bass heavy crowd-pleasers such as Migos and Sheck Wes’ “Mo Bamba,” and a Tennessee favorite, “Slob On My Knob” by Three 6 Mafia. His set selection and seamless mix inspired the crowd to sing along and form dance circles showcasing their best moves. Eclectic Nashville-based Ernest Keith Smith, known by his stage name Ernest K, made his Bonnaroo debut in front of an energetic crowd at the That Tent Thursday afternoon. Smith performed an array of music genres, from R&B to rap to hip-hop to what could be described as alternative acoustic. According to Smith’s label Big Loud Records, “He’s always bent the rules and eschewed the predictable,” a claim supported by the artist’s ability at Bonnaroo to switch from rapping with DJ ED to performing intimate acoustic songs and covers. Included in the set was a cover of Bill Withers’ classic “Ain’t No Sunshine” and an original called “Locals Only,” accompanied by Smith on acoustic guitar. 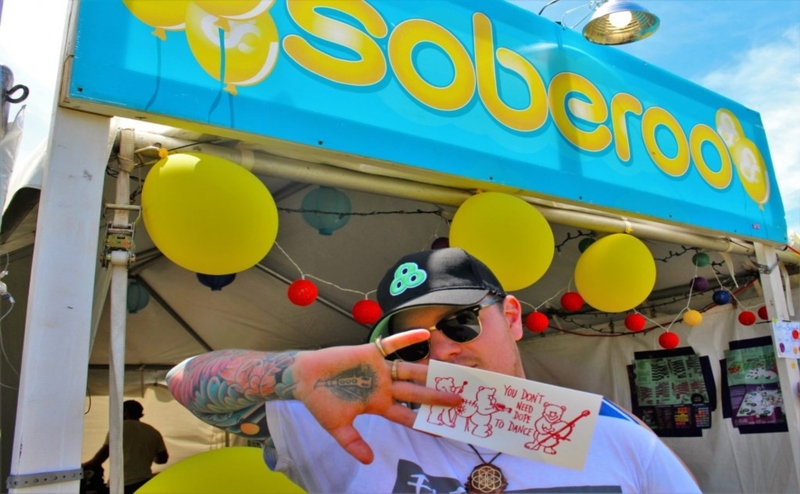 Personifying a hometown booster, Smith’s “I Love My City” included shout-outs to Nashville’s minor league baseball team the Sounds as well as locals attending the festival in general. Smith ended his set by urging the crowd to chant “615” for his Instagram followers — the area code for Nashville, don’t you know. 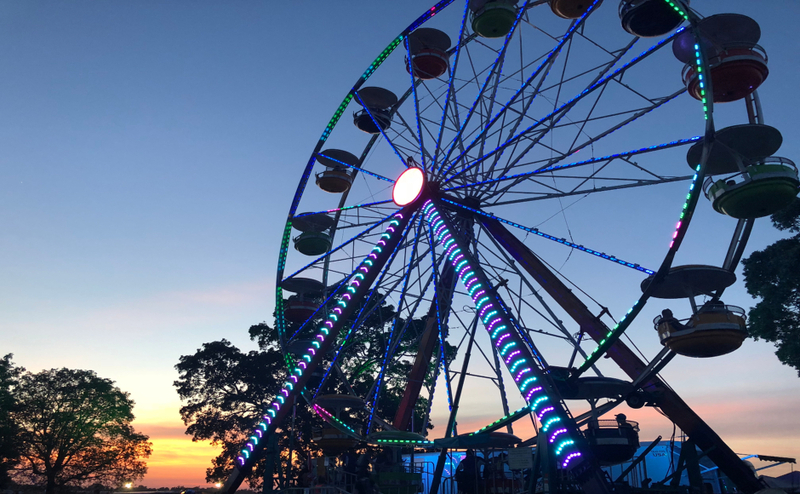 For more Bonnaroo 2018 coverage, visit here.